1060 aluminum sheet is usually named the pure aluminum whose aluminum content has reached the 99.6%. 1060 aluminum sheet is the most widely used in the industrial market. The advantages of 1060 aluminum sheet including simple and single working process, mature producing technology and low price.There are great advantages compared with other high quality aluminum alloy including good elongation and tensile strength. As the industrial pure aluminum, 1060 aluminum sheet features high plasticity, corrosion resistance, excellent electrical conductivity and thermal conductivity.But there still are some disadvantages including low strength and poor Machinability. 1060 aluminum sheet can be gas welding, hydrogen atom welding and contact welding.Can bear the Pressure processing and extension, bending. 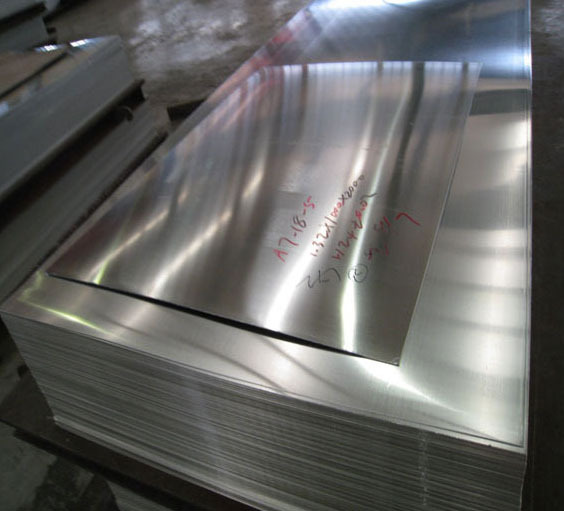 1060 aluminum sheet is widely used in the low strength industries, which is used as the Signs, billboards, building exterior decoration, bus body, high-rise and factory wall decoration, kitchen sink, lamp holder, fan leaf, electronic parts, chemical equipment, sheet metal processing, deep drawing or spinning concave vessel, Welding parts, heat exchangers, bell surfaces and discs, nameplates, kitchen utensils, decorations, reflectors, etc. ← What is the Applications of Aluminum Sheet 1050?